Most modern machines use rolling bearings, which usually fall into two types - Taper Roller and Ball Bearings. They both consist of an outer and inner race, with the ball bearings or tapered rollers spaced out and retained in a 'cage'. The outer and inner races are effectively rings made in case-hardened steel with finely-ground surfaces, to allow the balls or rollers to revolve smoothly as the inner race and spindle rotate together. The cage is a frame which keeps the balls or rollers equally spaced from one another, and on track, while allowing them to revolve freely. Cages are made in steel, brass, or moulded plastic. Making such bearings calls for great precision - they can only work effectively if produced to exacting tolerances. In this type (picture 1) the radially-spaced ball bearings run in deep, rounded grooves, in the two races. These bearings are mainly designed for a radial workload, for example, where the workload is more at right angles to the spindle: between-centre work, rather than axial loading, or end loading, such as faceplate work. 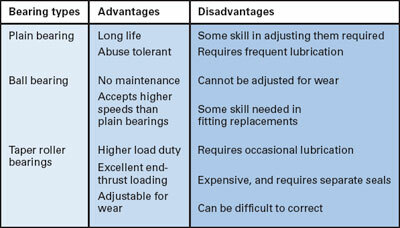 But so long as the bearings are of a sufficient capacity, some end loading is acceptable. 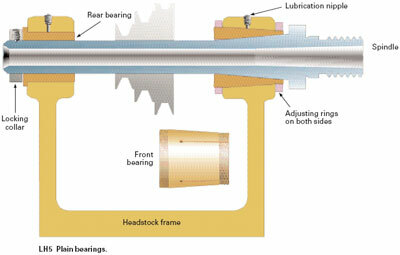 Picture 1 shows a typical ball-bearing headstock configuration, which usually use sealed-for-life bearings, pre-greased during manufacture and sealed with a permanently-fixed cover to hold in the lubricant and to keep out debris. 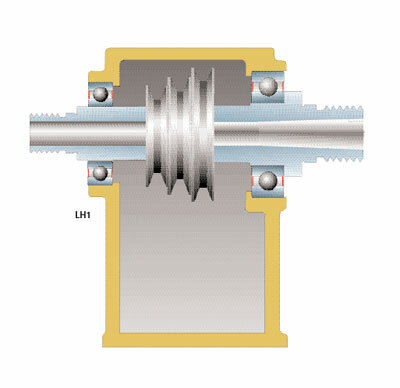 On some machines, tapered adjustable bearings are used, as the main illustration (picture 2) shows. This arrangement is usually on the front bearing, as it has the biggest workload and so wears fastest. In this design, the rollers have much more contact with the races, and are therefore capable of withstanding greater loading. 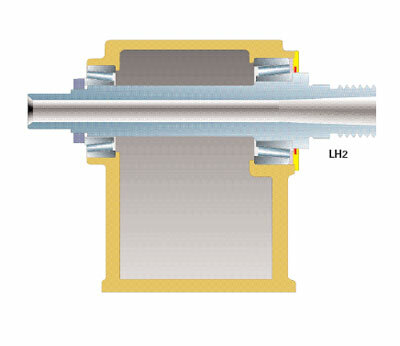 Also, the taper provides excellent resistance to end-load pressures, and allows some bearing adjustment to counteract normal bearing wear (picture 2). These bearings are expensive, so are usually fitted to lathes with a big turning capacity. Although these have been produced in a number of forms, the most common configuration is to have an adjustable plain tapered front bearing, as described in last month's issue see picture 3, with a standard ball-bearing type at the rear. As it gives a less critical means of adjustment than taper roller bearings, this arrangement is still used by some makers. A further advantage of this arrangement is that it obviates the need for a locking nut or other means of end play adjustment. Also, as the rear bearing will be of the sealed-for-life variety, it does not require lubrication. "Most modern machines use rolling bearing"